Fig. 2. The position of the ultrasound probe and the position of the muscle thickness measurement from the ultrasound image. (A) Vastus medialis (VMO), (B) vastus lateralis (VL), (C) soleus (SOL). 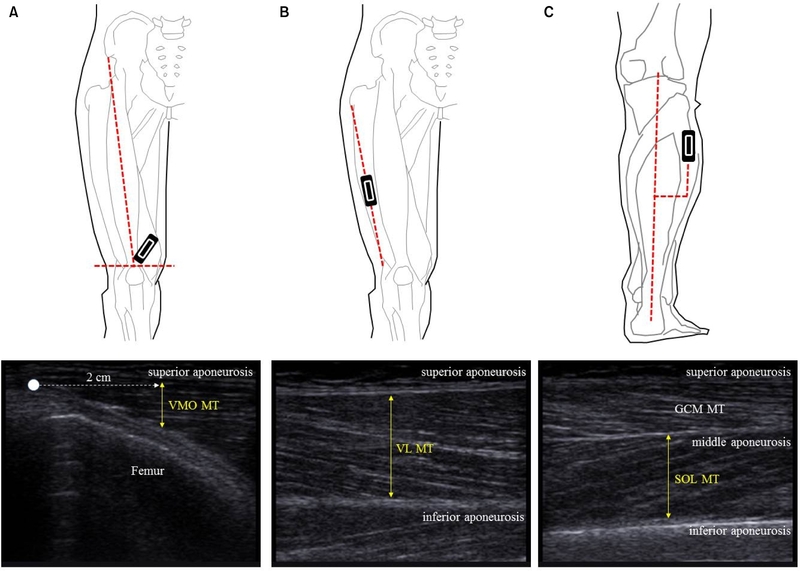 VMO: vastus medialis, MT: muscle thickness, GCM: gastrocnemius.